Since we moved into our home last year there’s been a certain wall that I never knew what to do. Because of what I do I’m constantly taking photos and I have all of them saved to computer but I never really print them out. 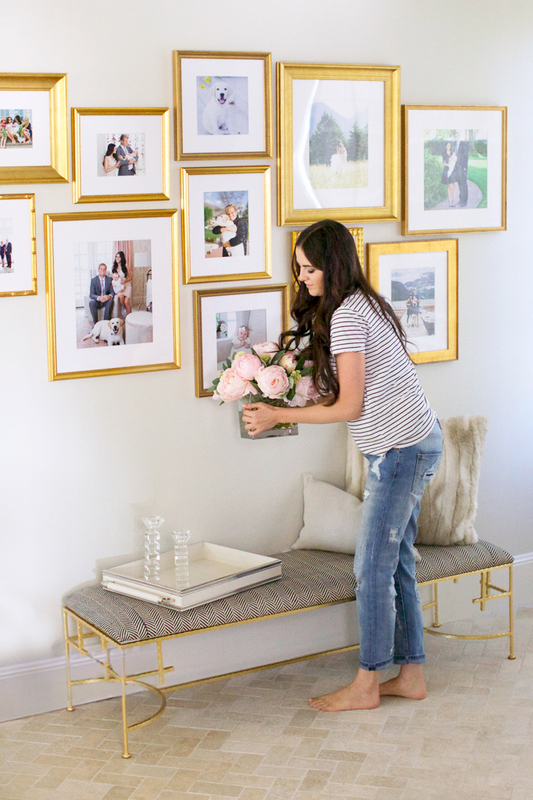 So when Framebridge reached out to me I knew exactly what I wanted to do – take some of my favorite moments caught on camera and create them into a gallery wall! 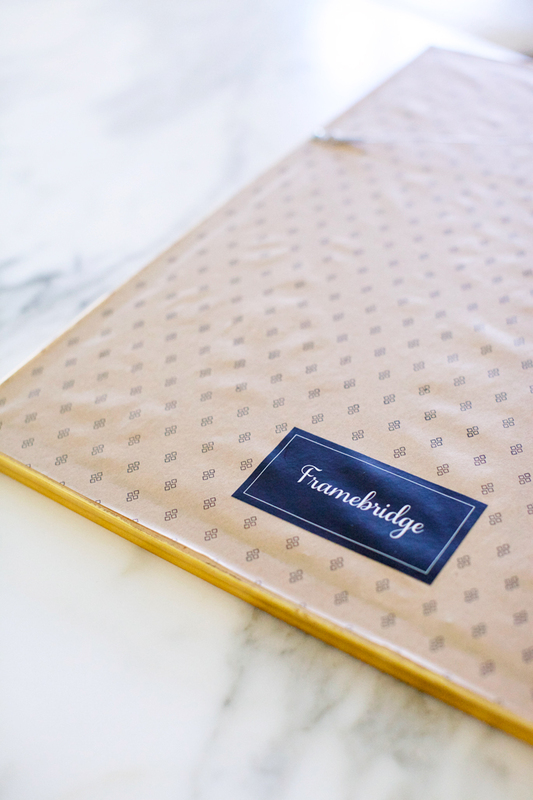 Framebridge is an online custom framing service that takes your favorite pieces and prints, frames, and ships them straight to your doorstep ready to hang! It’s the best way to frame the things you love and the process was so easy. All you do is upload the image you want (either from your computer or from Instagram), choose the size and matte you want, pick the perfect frame and you’re done! I had so much fun previewing my images in a variety of their frames, some are more classic while others are really simple. After hours (literally!! Their site is so addicting!) of going back and forth I finally decided on a gold theme to match my home! Once my frames arrived I was so excited to open them and hang them! Using Pinterest as my inspiration I arranged the frames so they would complement each other and fit together like a puzzle. I love how it turned out! It definitely makes our house feel more cozy and more like a home. And now instead of looking at a blank wall I get to see so many special moments that I’ll always cherish. 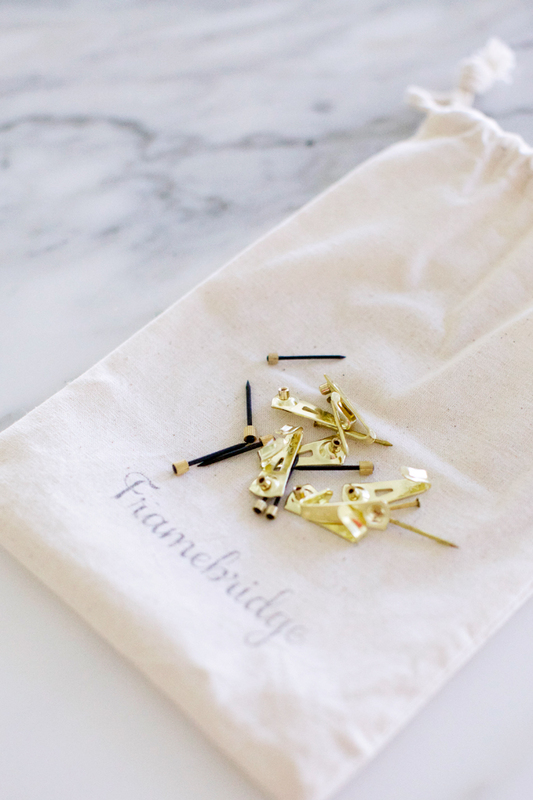 Use code PINKPEONIES for 15% off your first Frambridge order. Offer is good until 12/31. Brought to you by Framebridge. Totally loving your bench. Where is it from?? Love that bench! Where did you get it from? Thank you! Love this gallery wall. I would love to do something like this. Your new home has really been inspiring, especially love the kitchen. What a great post. I need to do this in my office. Love the idea of setting up the paper before hand. You created such a nice gallery! 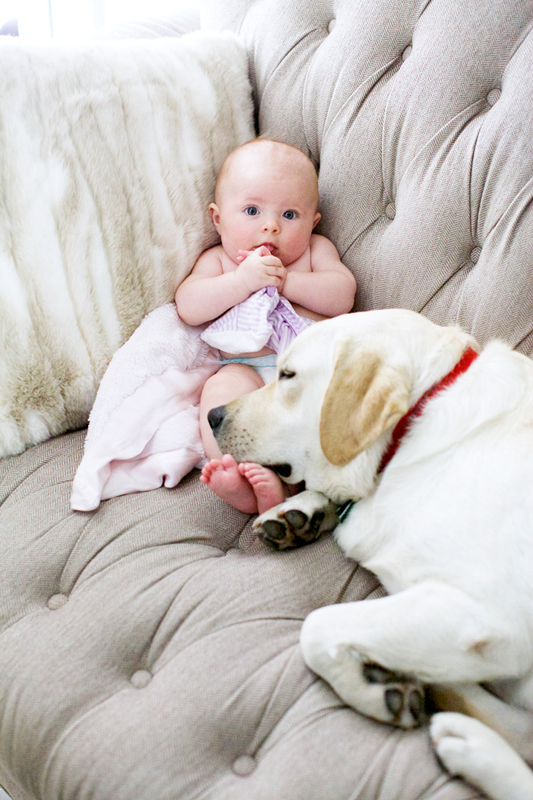 The photo of Isla Rose and your dog is adorable! Looks so beautiful! Thanks for sharing! Love these frames. I really like how you kept them in the same color scheme but with different textures! Definitely something to think about when I have a gallery wall! love your picks! i will have to try this out! Love the gallery wall!! Such a great idea for a wall your unsure of what to do with! I love this so much! I also have a large wall that only has one tiny picture hanging on it right now so this is such a great idea! Gorgeous photo wall! Love that picture of Isla and her pup! This looks lovely! The frames are really beautiful! Gorgeous gallery wall! Love the different textured gold frames. 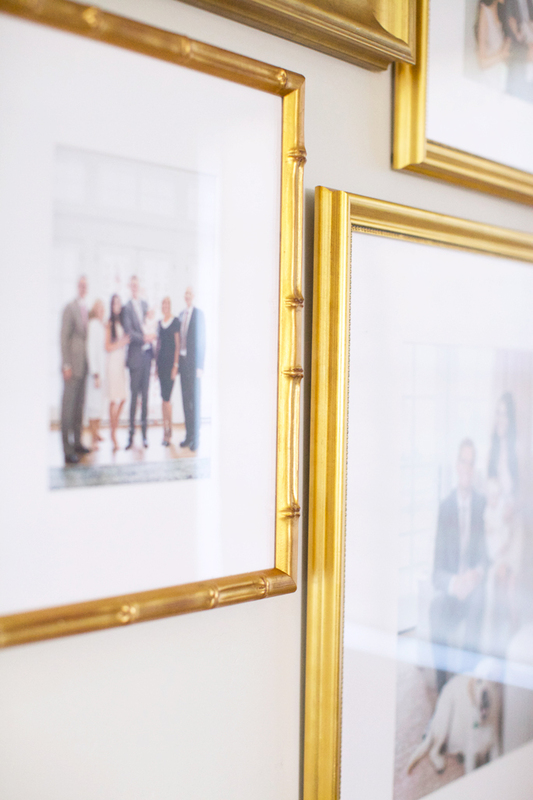 The gold frames look very luxurious and fit in perfectly with the elegant surroundings! They do make the home look more cozy as well, thanks for the inspiration! Awesome decoration…. I love the gold frames. Where in your house is this wall? That’s great you figured out a decor idea for the space in question. These are gorgeous frames. I love how you placed them on the wall! 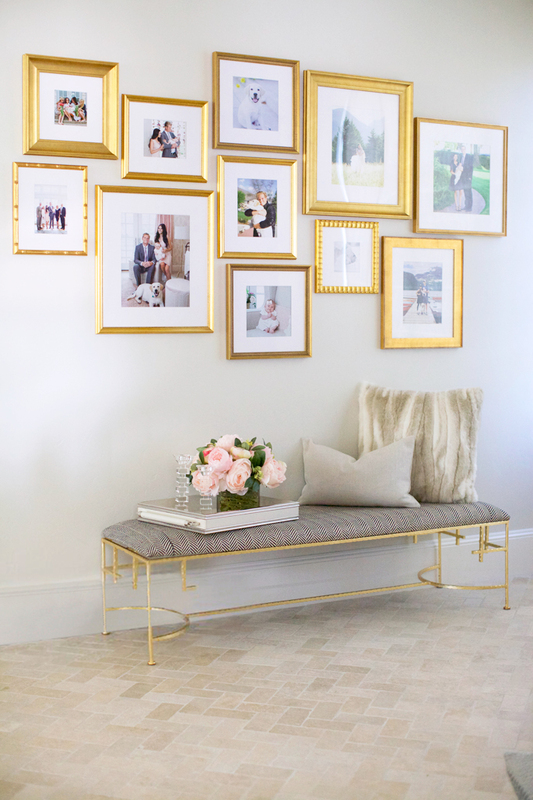 I love gallery walls – I’m planning on doing one just like this back home, only with a console table instead. I love the gold frames you used! You did such a great job creating that gallery wall! Love the photos and this sounds like an awesome service. Definitely something to remember as the holidays approach. Isla is getting so big! She is starting to look a little bit more like you now. The same thing happened with my daughter also. This is so cool! And I love that you laid it out with paper first. The puppy & baby cuddles are SO cute!! 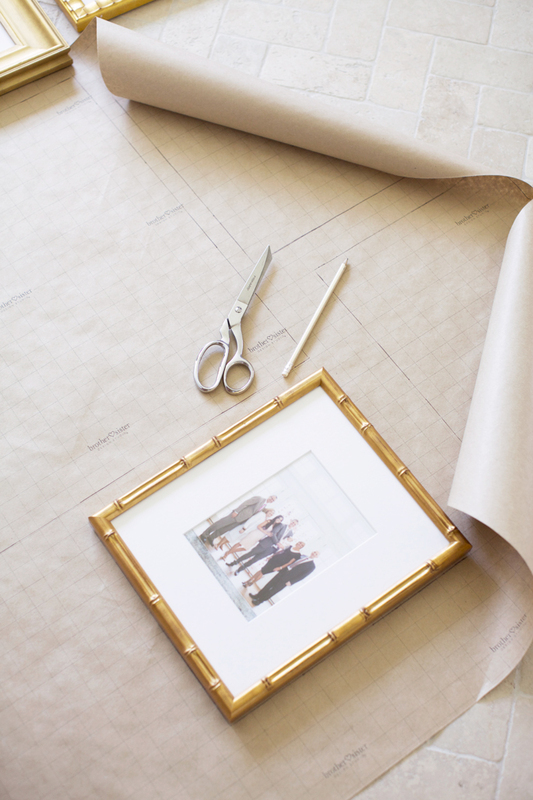 This photo gallery wall looks amazing, I am definitely going to check out Framebridge! Come see how much fun Pisa was! This looks so so good! I have been wanting to do a gallery wall in my bedroom and can definitely use this an inspiration. Love the pictures you have chosen! 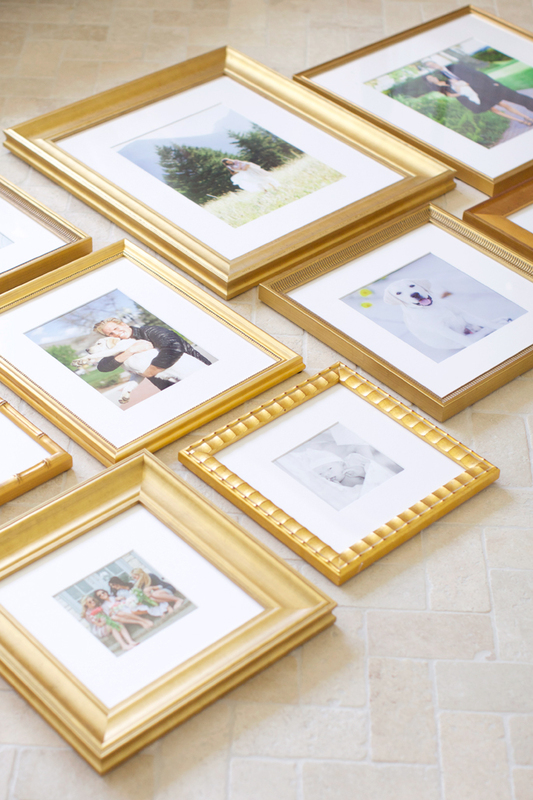 I’ve been wanting to do all gold frames in our master bedroom! What a great site- THanks! I love how the wall turned out, the frames are beautiful! Such a nice idea for an accent wall! Your wall gallery looks awesome! Loved the sneak peek on your Snap Chat last night. I love how you used the paper first to set how the set up looks. I’d love to hear more about how you figured out where to place the frames! Can you share the size frames you used? I love how all the frames go together but are different. Very smart how you traced the frames on paper to get the placement perfect. I need to do this on a wall in my house. I am so excited about this company! They basically do all the work for you, that’s so cool. Really loving your new gallery wall! Lovely gallery wall. It would have been nice if you explained your process though. Like how you placed the nails once the pattern with paper was taped to the wall, etc. Not really a ‘how to hang a gallery wall’ post. Beautiful corner! Love the pink frames! It came together beautifully, Rach! It was pretty awesome seeing some of the photos you selected because I remembered the blog post that went along with them :) Hanging photos really do help to create more of a cozy, home-like atmosphere and I love the frames you selected. Thanks for sharing! Fabulous post, Rach!!! I’m so excited to see the picture of you and Isla in the field- that picture is one of my very favorites! Thank you for giving me a great inspiration for my halfway that is right off the entryway. I love the bench underneath and how you styled it. And the picture of Dash cuddling with Isla on the couch while you were doing this project is so adorable! 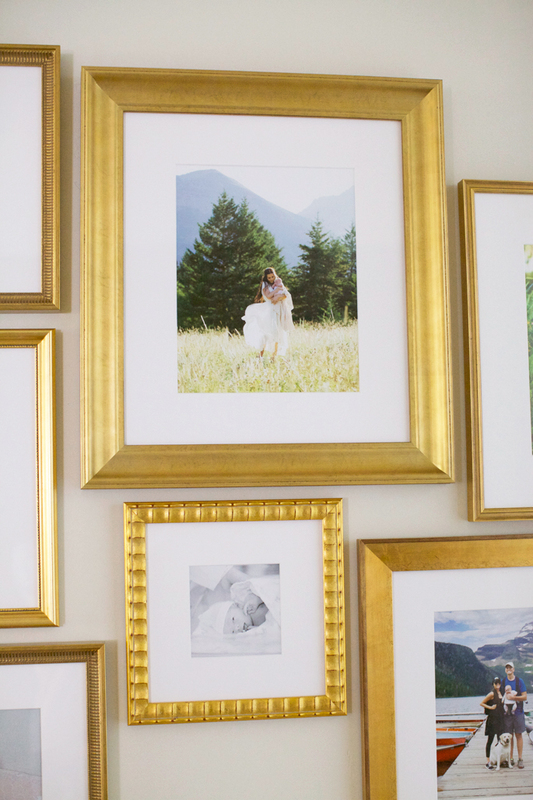 Your gallery wall looks gorgeous, love the gold frames! Your house is so gorgeous and to add those pictures made it more lovely! It’s so nice to have memories displayed on the wall! What size frames did you use for the pattern above? What a wonderful deco idea! I love the rsults! Looks lovely Rach! Love how the gold frames goes perfectly with your beautiful home. This wall is so gorgeous! I love those gold frames! Beautiful frames! I love that photo wall! This is such a great idea!! I can’t wait to have a home of my own to decorate!! Such a sweet family! The gallery wall turned out wonderfully! Such a perfect wall! Love how easy this technique is! This looks amazing, and so easy to do! Love the collage, it turned out beautifully! I’ve done something similar on my wall, but could have used the template to help. This looks beautiful, I’d love to have something like this in my home! What a great way to make a Picture wall. and it’s looks amazing btw. This is my inspiration to finally do the gallery wall I’ve been planning for like a year! This looks lovely! Gold is my favorite. I love this idea! I love your style so much! My husband and I just bought our first place and are gutting the inside…a little overwhelming! Any tips? I Love this! I want to do the same thing with wedding photos (I just got married), but I don’t know how to start. How did you decide on sizing? Hi! My husband and I are building our first home. Super excited and overwhelming! I always thought I wanted silver hardware but have fallen back in love with gold. Your home has been such an inspiration. Is your hardware satin brass? If not can you tell me color and where you got them? Thank you! Love these frames! I have always free eyed it to hang frames on my gallery wall. This way looks easier and better! How did I not know about Framebridge. I always say time is my new currency so having everything arrive ready to hang is amazing. Great idea! Where is that bench from?! Alice Lane has great furniture! Hi Rach! Beautiful work! If you don’t mind me asking, what sizes are the picture frames. I would like to do a similar wall at my home using these frames. I can’t remember the exact size, but possibly 8×10? 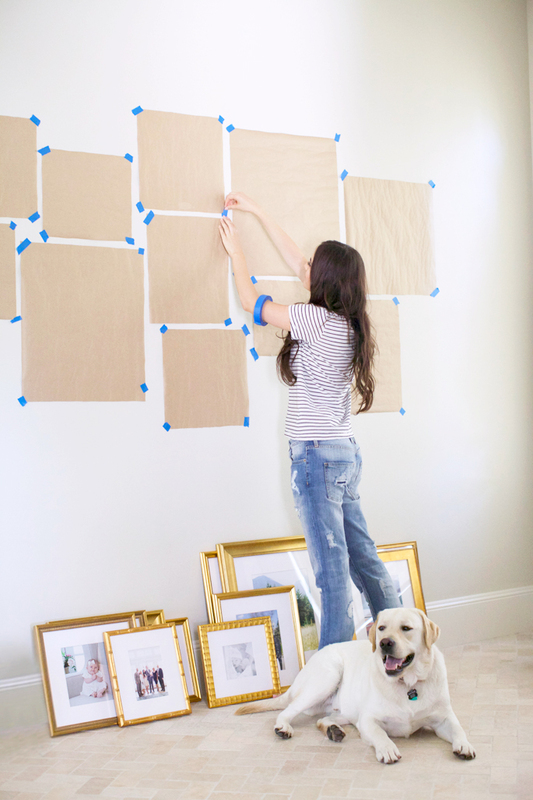 Framebridge has a service to help you figure out the best sizes for you wall! Beautiful! Love the frames and you have great style! Can you please tell me where you got this bench from? 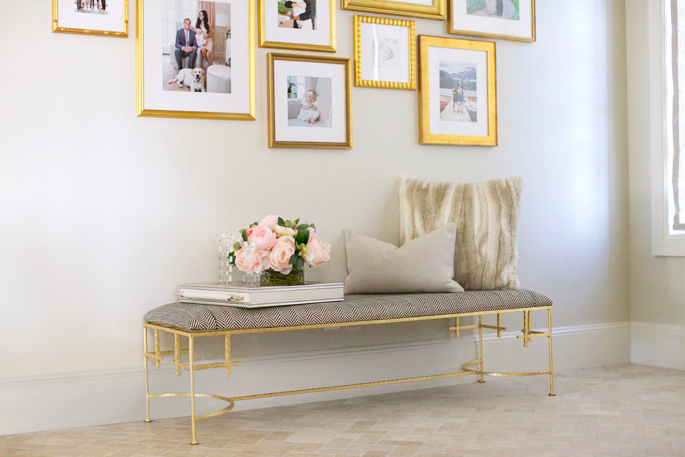 where do I find the bench under the gold framed pictures?